Perhaps, there are only a handful of times more special than the prom in NJ & NYC. The corsets, the dresses, the tux – all of these combine together to make that has become one of the most unforgettable and anticipated nights in a highschooler’s life. Besides, a sure-fire way to lift up the partying event is to go out of your way and hire a classy, stylish, elegant prom party bus in NJ & NYC. One of the key reasons to opt for a party bus rental is to make sure that you and your group of friends get to the party safely. A reliable luxury limo rental company only appoints experienced chauffeurs who will take care of your group so that you won’t need to get worried about driving home afterwards. However, you will enjoy every bit of your celebrations till the last minute while the chauffeur takes you back home safely. You’re worried about what to wear, who to go with and more things related to your prom in NJ & NYC. It’s obvious that you wouldn’t want to add up hiring a driver on top of those worries. 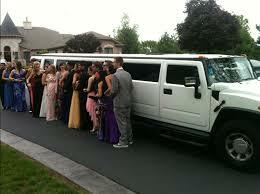 By hiring a party bus rental service for prom, you will have one less thing to worry about off your plate. 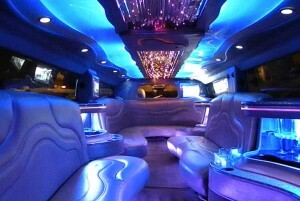 No matter what, prom party bus service in NJ & NYC will be waiting at your scheduled destination to get you all to the prom and be there for you to take you all home when all are ready to leave. After all, prom is your big night; which comes once! 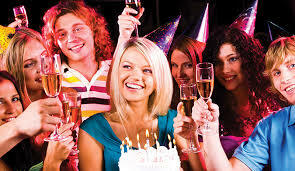 Arriving with your friends in a party bus ensures that you get to the party in style. Also the luxurious and plush accommodations of a good party bus rental -with state of the art entertainment system, spacious interior, mini bar and other perks – certainly let the party going the moment you all step in to the party bus. Though party bus rental companies only appoint professional chauffeurs who know the routes, directions, traffic and parking in order to make sure that you all will reach the prom on time or even a few minutes early of your scheduled arrival. With the prom party bus rental, you and your friends just enjoy the party, have fun with friends and make the most out of your trip! If you need a professional transportation service to take care of your prom night transfer needs, book prom party bus in NJ & NYC at US Bargain Limo and get one of its kind prom experience you’ll remember forever! For more information about our party bus services, get in touch with us online or stay connected with us through Facebook, Twitter and Google+ social media networks!